Handsome leading man Matthew Perry has managed to translate the fame and popularity he garnered from playing Chandler Bing on the hit NBC sitcom Friends into an increasingly successful film career as a romantic comedy lead. Born in Massachusetts, the son of actor John Bennett Perry, his parents divorced when he was still a baby. His mother got full custody and moved Perry to Ottawa, Canada, where she worked as a political assistant (years later, Perry’s mother would work as a press secretary for prime minister Pierre Trudeau). As a youth, Perry was an extremely talented tennis player and was once ranked third in Canada’s doubles competition. At the same time, the teenaged Perry was interested in acting and had been appearing in school productions since he was 13. At age 15, he relocated to L.A. to join his father, in hopes of becoming both a tennis pro and a working actor. However, in 1984, Perry suffered a devastating loss during a major tennis event and decided that he would have more success as an actor. Shortly after the fateful sporting match, he debuted on an episode of the sitcom Charles in Charge. Though Perry was still in high school, it rapidly became apparent that his education would take a backseat to acting. While in a restaurant, he was spotted by director William Richert, who offered the 16-year-old a small role opposite River Phoenix in A Night in the Life of Jimmy Reardon (1988). Though Perry wanted to become a successful professional actor, his father was pressuring him to attend U.C.L.A. As a compromise, Perry agreed that if he could not find an acting job in the first year after high school graduation, he would attend college. Not long after that, he was hired by Fox television to star in the series Boys Will Be Boys. The series bombed, but Perry was then starred opposite Valerie Bertinelli in a new series, Sydney. Do you want to hire Matthew Perry? Directly request a quote. In 48 hours we can send you the availability of Matthew Perry If you would like to book Matthew Perry, Entertainment Booking Agency is the right place. We will offer you the best price and contact the management or we directly contact Matthew Perry. For corporate appearances or speaking engagements you can contact our agents and the will help you true the process. Tags: hire Matthew Perry, Matthew Perry booking, book Matthew Perry, Matthew Perry appearances, find more information on booking Matthew Perry for appearances, Matthew Perry speaking engagements, Matthew Perry endorsements/spokesperson, Matthew Perry appearance fees, Matthew Perry booking agency contact info, biography of Matthew Perry, Contact an artist booking talent agent find a speakers bureau that can book Matthew Perry, speaker booking agency for Matthew Perry, Matthew Perry booking agency, Matthew Perry booking for corporate event. EBA is one of the biggest entertainment booking agencies in the World. We book hundreds of celebrities, artist, athletes and speakers in a year. Important to know is that we are not claiming to be the management of Matthew Perry. 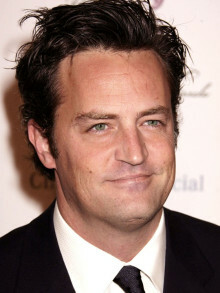 We are not the official agent for Matthew Perry. Companies from around the globe book these artists and speakers true our company be course we have one of the biggest networks and we always have direct contact with the artist or the management. We help you to find the right celebrities for your corporate of private events. Please contact one of our agents to get free advice and we will help to get the world-famous artist on your party.